Beautiful landscapes, rich fauna and flora, and natural heritage sites are among the main reasons why tourists visit a destination. Tourists are searching for recreation and peace in natural areas, but also for fun activities. Tourism and biodiversity can thus be in a symbiotic relationship. However, there are also negative consequences for biodiversity from tourism. Building tourism infrastructure like hotels, streets, facilities, and attractions needs a lot of space. Ecosystems are degraded or even destroyed. Moreover, visitors can harm ecosystems, especially if their numbers are not regulated and if the visitors are not guided. Beautiful landscapes, rich fauna and flora, and natural heritage sites are among the main reasons why tourists visit a destination. Tourists are searching for recreation and peace in natural areas, but also for fun activities. They would like to enjoy nice sceneries, watch wildlife, and actively experience nature on hiking, biking or canoe tours. Areas with high biodiversity such as coastal zones (>> Goal 14), mountains and protected areas are especially attractive for guests. Tourism and biodiversity can be in a symbiotic relationship. Biodiversity is the core of attractive landscapes and creates distinctive regional features, including agricultural products for a diverse, local cuisine. “Sustainable tourism can play a major role, not only in conserving and preserving biodiversity, but also in respecting terrestrial ecosystems, owing to its efforts towards the reduction of waste and consumption, the conversation of native flora and fauna, and its awareness-raising activities”, as the World Tourism Organization (UNWTO) emphasizes with regard to Goal 15 (UNWTO, 2015). The Convention on Biological Diversity (CBD) also stresses the importance of sustainable tourism development for biological diversity. It has issued guidelines for the tourism industry (CBD, 2004), focusing on tourism development in vulnerable areas in order to maximize the positive benefits for biodiversity, ecosystems, and economic and social development. However, there are also negative consequences for biodiversity from tourism. Building tourism infrastructure like hotels, streets, facilities, and attractions needs a lot of space. Often massive interventions in the balance of nature are caused by tourism development. Ecosystems are degraded or even destroyed. Moreover, visitors can harm ecosystems, especially if their numbers are not regulated and if the visitors are not guided. If tourists leave the marked paths, sensitive habitats and species may be disturbed. Negative effects on fauna are especially severe in the breeding season. Footsteps can seriously damage the vegetation and cause erosion and degradation, especially in sensitive ecosystems like mountains, wetlands and drylands. Green Infrastructure (GI) is a strategically planned network of natural and semi-natural areas of all scales. These spatial structures provide stepping stones for many different species and help to preserve biodiversity by connecting habitats across wider landscapes and support mobility of wildlife. Furthermore, there are positive effects on human well-being thanks to ecosystem services (e.g. clean air and water) and mitigation of climate change and natural disasters by storing carbon, alleviating floods and preventing soil erosion. It is a sustainable investment for the benefit of both people and nature. The implementation of GI creates an attractive environment where people spend their spare time and find recreation. Studies prove that outdoor activities and spending time in nature are beneficial for psychological and physical wellbeing and health. Tourism concepts which are adapted to nature’s requirements, such as eco-tourism, gain popularity and are part of a new lifestyle. Guided tours offer nature experiences, environmental education and reconnect us to our environment. Conflicts between the conservation of natural ecosystems and the increasing demand of tourists for experiences in nature occur when the carrying capacity of ecosystems is exceeded. GI is able to manage visitor pressure by providing a recreation and visitor resource for outdoor lifestyles, and by helping to divert pressure from sensitive landscapes or conservation areas. In addition, the tourism industry needs, among other resources, a lot of water (>> Goal 6) and energy. Resources are often wasted to a point where consumption exceeds regenerative capacities. Excessive water consumption may cause sinking ground water levels with negative effects on regional habitats as well as on agriculture. The rising emissions from aviation make tourism one of the main contributors to climate change (>> Goal 13) which also causes biodiversity loss: ecosystems and landscapes change, sensitive and specialized plants and animals disappear, invasive species spread and often repress domestic species, natural disasters such as storms, floods or forest fires occur more frequently. By harming nature and biodiversity, unsustainable tourism development may result in making an affected region less attractive for visitors on the long run. The captive lion industry: A sustainability scam? The notion of ‘sustainability’ has become the most overused and consequently meaningless phrase within conservation and wildlife circles. Used in equal measure by those that manage responsibly and the abusers of wildlife, it is hardly surprising then that the predator breeding and canned or captive lion hunting industry is also invoking the term as a way of trying to sanitize what they do. The breeding, trading, petting, walking, viewing, filming, de-boning and killing frenzy currently underway, mostly in South Africa but also in other countries across southern Africa, is about making as much money out of these animals as they possibly can and doing this in the shortest possible time frame. And while on scams, the volunteer programmes that feed revenue and free labour into many of these lion farms is something government should also be looking into. They entice people, often young students who believe they are making a worthy conservation contribution, into paying substantial amounts of money to offer their services to these facilities. Farming lions to be petted, traded or killed cannot under any reasonable definition be equated to or classified as conservation, and neither should those involved be able to justify their actions under the banner of sustainable use. And to accept either of the above would be to defraud our conservation and tourism record as well as all those who are currently doing such vital conservation work. To be sustainable, tourism needs to respect ecosystems by finding the balance between environmental protection and touristic use. Sustainable tourism integrates ecosystem and biodiversity values. It is based on a “sustainable use of terrestrial and inland freshwater ecosystems and their services, in particular forests, wetlands, mountains and drylands” and focuses on “a significant reduction of the degradation of natural habitats, the halt of biodiversity loss and the prevention of the extinction of threatened species” in line with targets 15.1 and 15.5. There is a need to regulate visitor flows and guide visitors, especially in sensitive habitats. Infrastructure and tourism attractions need to be synchronised with the local requirements and carrying capacities. According to Wildlife Ranching, a South African organization, 160,000 rhinos have been slaughtered in Africa over the past 50 years. The rhino horn is used as an ingredient in Asian medicine and can fetch extremely high prices on the illegal market. ‘Rhinos Without Borders’ is a joint venture between the two like-minded conservation and travel companies Great Plains Conservation and &Beyond. 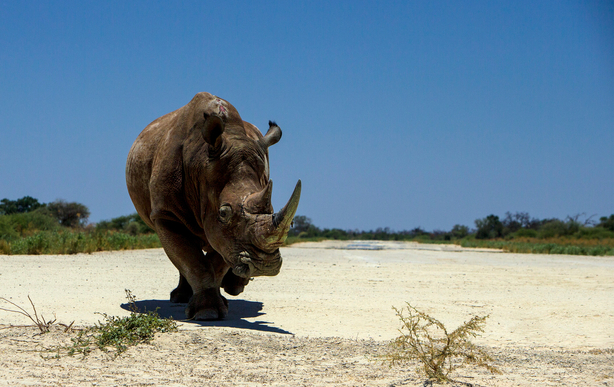 It is supported by both the Great Plains Foundation and Africa Foundation, combining fundraising and project management efforts in order to protect rhinos from rampant poaching by translocating them to Botswana, a country with an excellent anti-poaching record and low densities of rhinos. This initiative also secures rhino breeding diversity and preserves rhino genes by providing a nucleus of stock in the new location. Using the power of their tourism partnership, a creative fundraising sponsorship package was put together to appeal to donors and also allow them to participate in some of the operations. The project helped both the organizations achieve effective participation and awareness among locals, the travel community, the general public in South Africa and Botswana, and the non-profit community. Moreover, the project serves as a success story to stimulate new projects by the travel industry or others. Natural resources are limited. Tourism needs to achieve sustainable consumption and production patterns (>> Goal 12), from procurement to waste management. Without serious and significant reduction in waste, emissions and consumption, tourism will not be sustainable. Tourism destinations need strategies for sustainable development, which are tuned on the region and its natural resources – in line with target 15.9 which demands “integrating ecosystem and biodiversity values into national and local planning and development processes”. Nature-based tourism contributes to raising the awareness and knowledge of visitors and local people with regard to SDG 15. Guided hikes, exhibitions and other educative activities impart knowledge about regional ecosystems and species. People are more willing to protect what they understand and care for. Tourism also raises the awareness of local people concerning environmental problems and thus increases their commitment for conservation activities. When local people realise the appreciation of local biodiversity and ecosystems by visitors, this may also raise their own awareness for the region´s natural resources and their readiness to protect nature. Thus tourism can support “actions to end poaching and trafficking of protected species of flora and fauna and address both demand and supply of illegal wildlife products”, as target 15.7 demands. Nature-based tourism can, through the income it generates, foster the protection of the environment by mobilizing and significantly increasing financial resources from all sources to conserve and sustainably use biodiversity and ecosystems, in line with target 15.9a. Entrance fees for protected areas, grants of tour operators and taxes can generate a direct financial contribution to the conservation of nature. Furthermore, sustainable tourism can be vital for regional value added, by providing jobs for local people and strengthening the local economy. Hence tourism can support a sustainable development process as well as poverty reduction strategies and help achieve target 15.9. New England is famous for its Indian Summer. Forests dominate News Hampshire’s landscape, so a large percentage of recreation and tourism activities are linked to the forest. The New Hampshire Division of Forests and Lands is a multi-service agency dedicated to conserving News Hampshire’s rural and urban forest landscape. Its focus is on protecting and promoting the values provided by trees, forests, and natural communities. The mission is responsible management of the state’s forest resources; providing forest resource information and education for the public; and the protection of these resources for the continuing benefit of the State’s citizens, visitors, and forestry. Sustainable forest management is a key factor for the local economy: Selling wood and timber products, creating 10,800 jobs in the region and, last but not least, revenues from tourism activities. New Hampshire Division of Forests and Lands, USA.